The Red Sea or where the desert meets the ocean! The yellow desert landscape stands in stark contrast to the deep blue of the neighbouring waters. Blue waters? So, where then did the Red Sea get its name? Its name originates from the periodic bloom of an alga that makes the water appear red. The phenomenon still occurs today. The Red Sea is in geological terms a relatively young ocean. Created through separation of the Arabian plate from Africa and located in a predominantly arid zone it has developed into something truly unique. Through the years a wonderful biodiversity has evolved with colourful coral reefs, lush mangroves, fertile sea grass beds, and native species of seabirds, reef fish and invertebrates. The Red Sea has a remarkably high number of species, which are found nowhere else. At least 15% of the marine species can only ever be seen by visiting the Red Sea. There are over 1,000 species of fish in the Red Sea, of which 20% is counted to the endemic fish population. The Red Sea has about 400 species of corals – 125 of which are soft corals. It houses also 40 species of sea star, more than a 100 species of mollusc and 150 species of crustaceans. All the naturally endemic species are non-migratory and reef bound, as pelagic species are not as limited in their movement. The abundance of marine life in the Red Sea leaves an unforgettable memory with anyone who is lucky enough to see it. 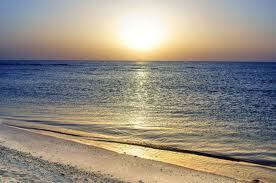 As you may be aware, people have all different reasons for deciding on a Red Sea holiday. With desert backdrops and golden sands lapped by warm waters, the Red Sea offers a different perspective from the bustle of the Nile-side towns. While many people want to explore this historical setting for educational purposes, others seek to enjoy all of the parties and entertainment offered by resorts with a Riviera feel as Sharm el Sheikh and Hurghada. You will also find that a significant number of people visit the Red Sea in order to enjoy diving, snorkelling, and other water sports. As you have been reading, the crystal clear waters hide a magical underwater world of vibrant colours, tropical marine life and spectacular corals. The Red Sea has something to offer everybody, whether you are looking for a family holiday in the sun or you are a devoted diver wanting to explore remote areas rarely visited by most holiday makers. No matter whether you want to enjoy your days on a sailboat, or exploring coral gardens beneath the water, you are sure to find plenty of sights and adventures to enjoy.